Upper: Engineered mesh, high frequency welded overlays. 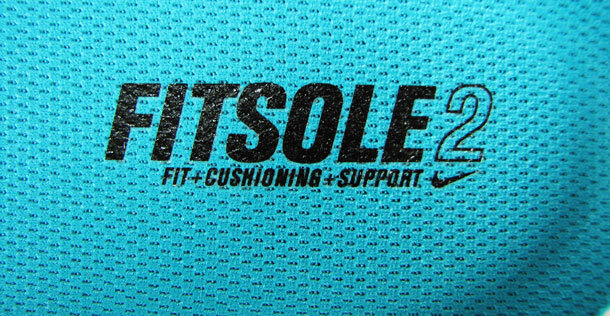 Midsole: Full length Cushlon foam, Zoom Air bag in heel, Nike plus cavity in left shoe. 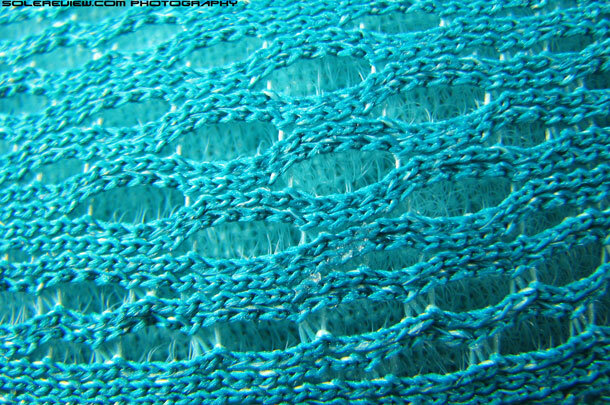 Weight: 323 gms/11.39 Oz for a half pair of US11. The Pegasus 30's forte is not about being superb in one particular area, but rather its ability to bring a lot of well oiled bits together. To be specific, things like cushioned ride, roomy upper and surprisingly solid straight line stability. The shoe feels near identical to the 2012 Pegasus 29 because it carries over the exact same sole unit and similar upper materials. The only downside is moderate tongue slide. Nike released the 30th edition of the Pegasus last year, permanently cementing the shoe’s place in footwear hall of fame. Thirty years is indeed a long time for anything, and the fact that Nike Pegasus survived the test of time is telling. Not without its up and downs though; the shoe went from being unbelievably popular in the eighties and early nineties to being dropped out of the line altogether in 1999. Then it resurfaced in the year 2000 and went through a few iterations with varying degrees of success till 2006, when a new design revived the flagging fortunes of the franchise model. Ever since, its been more or less smooth sailing for Nike’s winged workhorse. 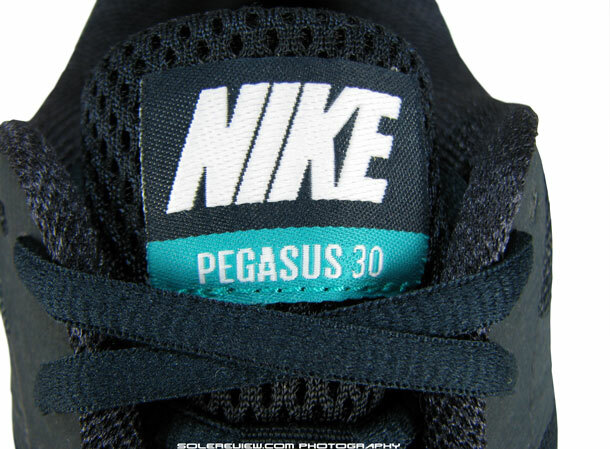 The Pegasus 30 turned out to be just a minor refresh, carrying over most of the elements from Pegasus 29. This was a surprise, to say the least. Nike could have done so much with the 2013 Pegasus, with the thirty year celebration being a perfect reason. The past few years, Nike’s veteran models have been eclipsed by a new breed of running performers – different versions of Flyknit, Lunars, Free and so on. Last week, the Nike Air Pegasus 31 made news with a brand new design re-done completely ground up, and somehow we think that the new 2014 Pegasus is the shoe which the Pegasus 30 should have been. But this is all in the past, so let’s get down to business and review the Nike Air Pegasus 30. What’s new over the Pegasus 29? Not much- the Pegasus 30 feels a great deal like the 29, since it carries over the sole unit and a lot of common materials. From a construction perspective, the Pegasus 30 does feature a new bits on the upper. 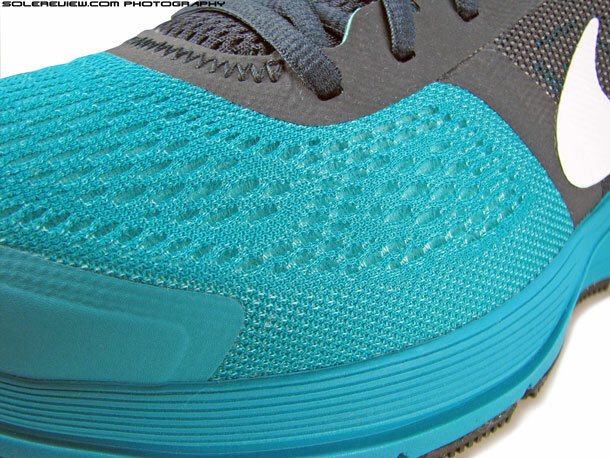 The overlays are now all stitch-less and fused-on, instead of the traditional synthetic leather ones on Pegasus 29. This lends the upper a sleeker profile, and opens up some area in the forefoot. 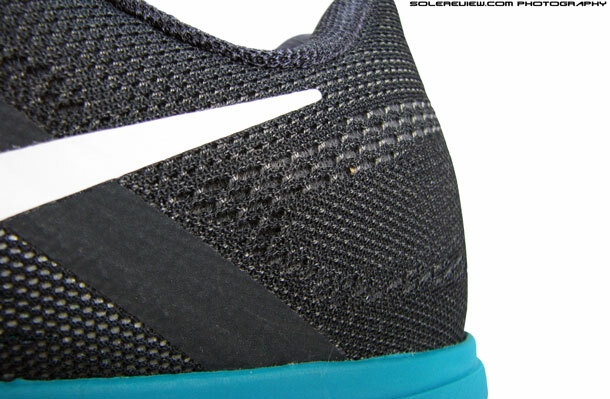 The heel area is cleaned up too, with an engineered mesh covering the hard heel counter. 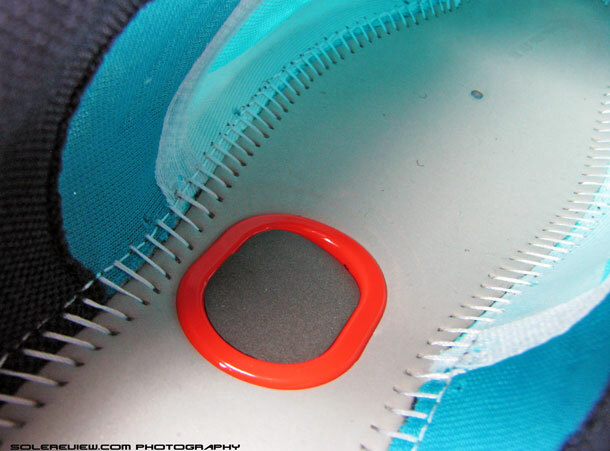 The molded piece sits pretty low so the collar top is fairly pliable and prevents any kind of hard dig into the foot. 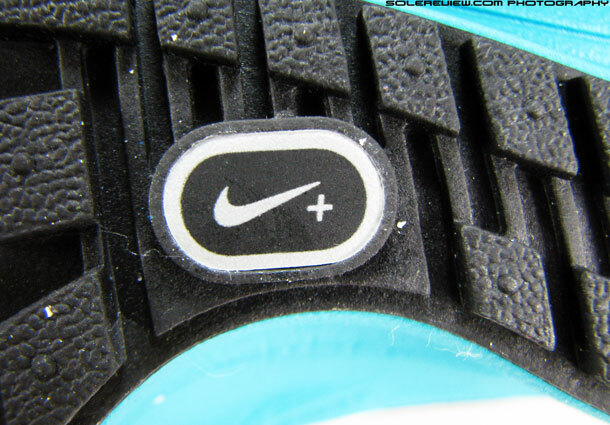 The only casualty of the heel area change is the removal of the small reflective strip, which was seen in the 2012 Pegasus 29. The tongue is not joined to the upper on the sides, but the slide is not so severe. 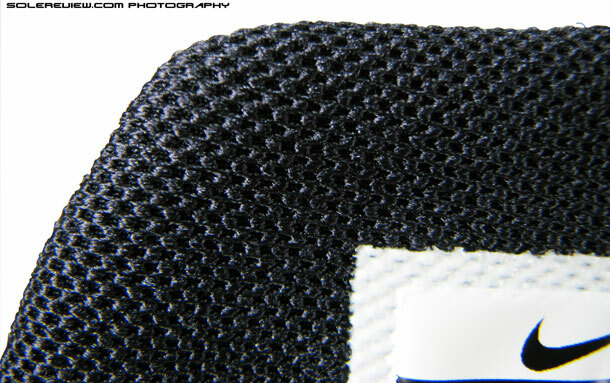 It is well padded, with a foam layer inserted between a spacer mesh and the lining – it tends to stay put once the laces go over it. Speaking of laces, we thought that they were slightly short and could do with a bit more length. 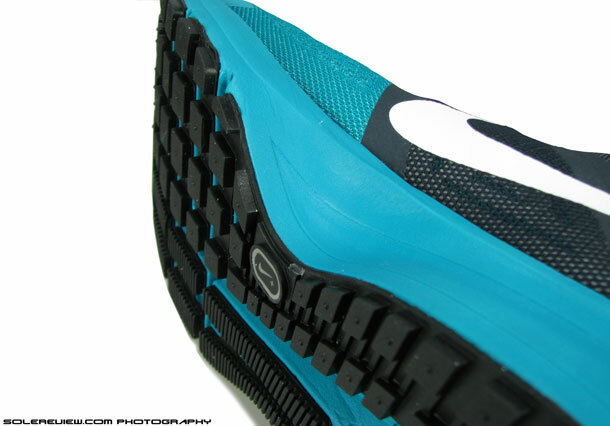 The interior environment of the Pegasus 30 is seamless for the large part, so it feels smooth throughout. The foot rests on the removable insole called Fitsole 2, which uses a single layer of memory foam topped off with a friction free fabric. This is the same as the last year’s, and Pegasus 30 is likely the last to feature it. The newer 2014 Nike running shoes have evolved their sockliner categorization and naming convention, and we’ll be able to tell you more once we review the Pegasus 31 later this month. Okay, if you want to know right now – the sockliner in the Pegasus 31 is exactly the same except for what it says on the top. Worth pointing out is that the Pegasus is one of the last remaining shoes to feature the Nike plus cavity, so grab a pair before they’re gone. You’ll be happy for another year, and get yourself a good bargain in the process. The exact bottom unit carries over from the Pegasus 29, sans any tweaks. 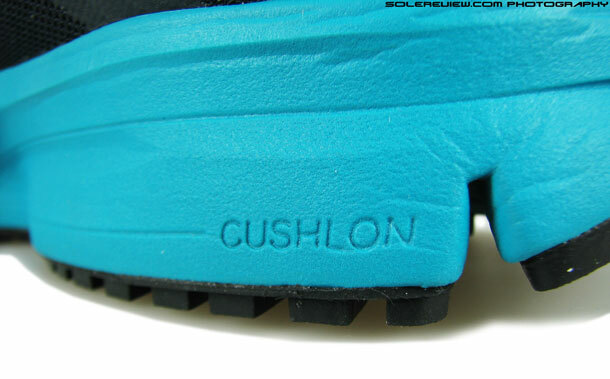 The midsole foam is full length EVA which Nike calls Cushlon – a softer version of the traditional injection molded EVA. 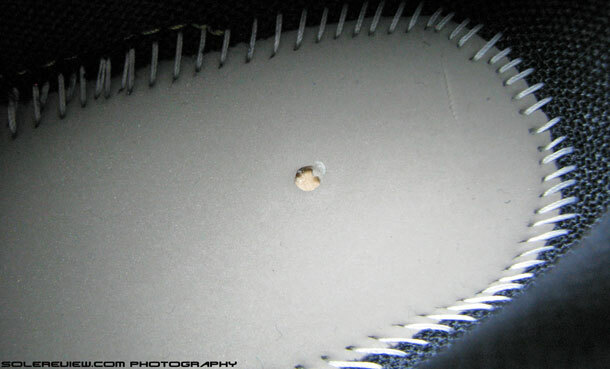 A Zoom Air bag sits right below the heel and insulated by a cardboard layer on top (see image). This, we reckon, is Nike’s solution for a stable ride, akin to using ‘Flightplate’ in their Zoom Air equipped Basketball kicks. The lateral sides of the heel and forefoot midsole have these deep grooves built into them, which are designed to help increase midsole compression. They do work as advertised, and add to the overall cushioning experience. 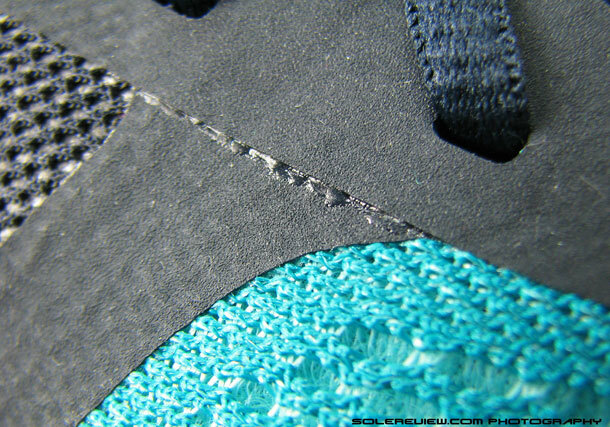 The medial side of the midsole has a very prominent flare (see above). 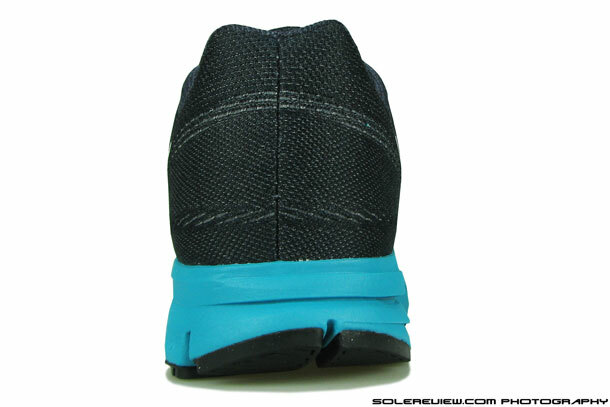 This ensures that the under arch area area is well supported, and during runs we felt that the combination of Fitsole and the midsole flare working harmoniously together to provide arch support. The Nike Pegasus 30 is designed to be a neutral running shoe, aiming to combine a high level of cushioning with stability, and the shoe does just that. At lower speeds, heel cushioning comes across as soft, with the Zoom Air bag and grooved midsole walls compressing with body weight transfer. Forefoot cushioning is top notch too, with a lot of flexibility coming into play during motion. Wide and deep flex grooves cut across the forefoot surface, helping the shoe bend effortlessly. Pick up the pace, the cushioning turns responsive without any mush; heel to toe transition is smooth owing to unbroken outsole rubber coverage.The heel crash pad is beveled upwards at an angle and is separated from the rest of the outsole by a deep flex groove, so heel strikers will experience a gradual splaying of the heel area during impact, and that’s good. Straight line movement is excellent. 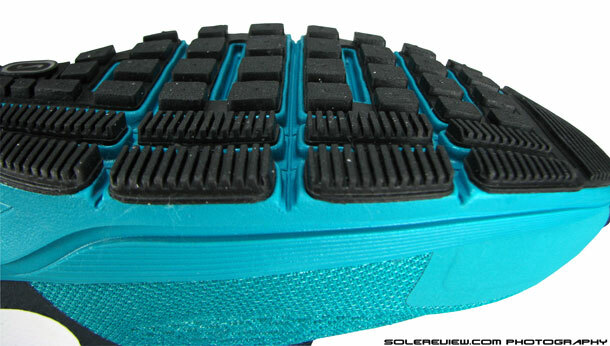 There’s a deep ridge running beneath the midsole which keeps the weight centered, so that helps the shoe track straight. Similar to what Asics calls the ‘Guidance line’, if you’re familiar with that term. Nike does not have a name for this feature, but it works, and that’s all we care about. Outsole grip is strong, with multiple rubber lugs and a series of thin ribs which run the outer length of outsole. They serve their purpose well, but they seem prone to breaking away after long term usage. The fit is roomy – there’re no pressure hot spots or errant upper areas which cause discomfort. Runners alternating between Flywire lacing based models and the Pegasus will find the shoe upper a bit loose, but we see that as relative. For example, we switched the Flywire based Vomero 9 and the Pegasus 30 during runs on the same day, and the Pegasus felt way more relaxed. The mid-foot areas wraps around without constriction, the forefoot is spacious and the collar has a plush grip around the ankles. The Pegasus is our idea of a comfort shoe; it is not spectacular by any means, but comes across as a wholesome package of many elements working well together. A comfortable upper is married to a cushioned, yet responsive unit, making the shoe suitable for most run types. There’s plenty of rubber underneath which grips well, and should last longer than any of the newfangled lightweight shoes. And at $100, it does a far better job at being a neutral cushioned shoe than the $130 Vomero 9. The 2014 Air Pegasus 31 is out in the market, at the same price. The Pegasus 30 is remains a good buy, especially with a healthy knock off its original retail price. Eagerly waiting for Pegasus 31 review. Cant wait anymore !! Since you double posted (your comment got caught in the filter for reasons unknown), we have answered your question under your second comment above. Everyone is entitled to their opinion, but we don’t agree with the review on outsideonline. The Pegasus 31 offers plenty of protection for forefoot strikers – lots of cushioning, and the midsole EVA is compression molded (more density) as compared to injection molded (lighter density) on Peg 30. The review also talks about a lot of dust getting into the shoe while running on trail, but then the Pegasus 31 is a road shoe, so wrong use of equipment there. The review also describes the Zoom structure as being stable in the heel, but we found there is nothing stable about that shoe at all – our review covers all. Will try to post the Pegasus 31 review today! The photographs do take a lot of time to clean up and process, that’s the only thing holding the review up. I dont know where my comment vanished so I am writing again. I am slight overpronator on right foot and neutral on left foot. I am a midfoot striker. Will Peg 31 be a good shoe for me or am I better off with Asics GT 2000 v2? Your comment got caught in the filter, we don’t know why! The GT 2000 is a decent option, but based on your description, we feel the Lunarglide will work better than the GT or Pegasus 31. The Pegasus 31 has a lot of squish in the heel. 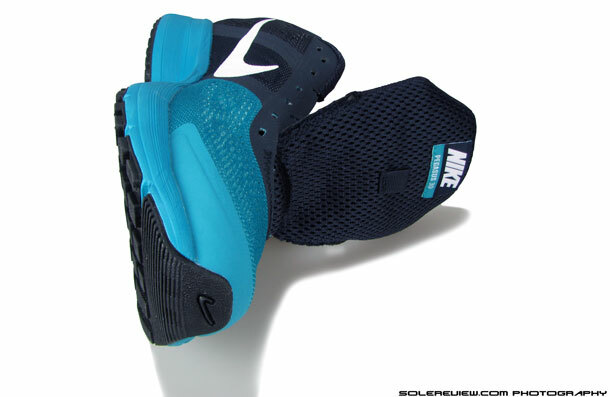 That said, the current Lunarglide 5 won’t last the distance for midfoot/rearfoot (not heel) strikers. There isn’t enough rubber down below – which seems to have been corrected in LG 6. 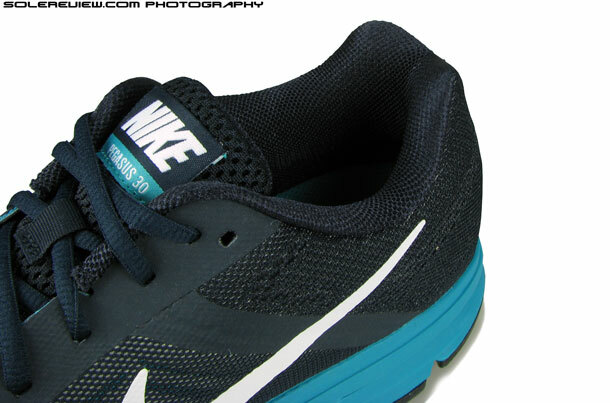 If you wait a little longer, Lunarglide 6 will be available later this month. We’re trying our best to get hold of a pair before its global release – and post a detailed review. Just wondering why this shoe is not recommended for trail running? I tend to run 1 mile on the road and then 2 miles on a trail (I take the path from my house to the trail running on pavement) then finish my run on the trail…found these for $50 at a local store so wondering if it’s worth the purchase. Thanks! These shoes will do okay if you’re simply running on flat, unpaved surfaces with fine grit. But get them out on a slightly rough or technical trail, and the flaws start coming through. The forefoot has no hard plate so the small rocks will make themselves felt, and the lug structure is too flat (and hard) which makes grip on proper trails less than adequate. The forefoot upper also isn’t snug, so doing sharp trail descents will lead the foot being crammed forward. all the above reads like a lot of advertiseing crap for the masses. I’ve been relying on nike air pegasus for about 7 years and I have noticed the cushioning getting less and less especially over the last 2 or 3 years. i have just had my first run on the zoom elites thinking they might be better and they did feel more cushioned while trying them in the shop but i am terribly dissapointed and will be returning them tommorrow. I almost thought they were a chinese fake/copy. 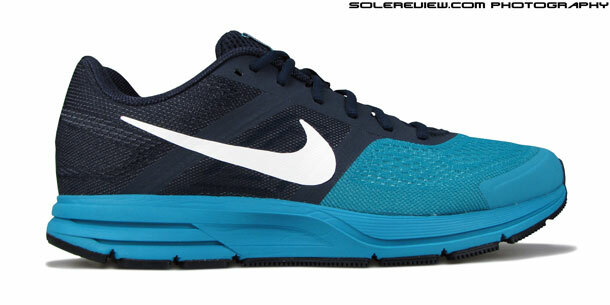 I will try the pegasus 30 tommorrow but i doubt they will be any good. The pegasus were good a few years ago when they actually had air In the heal AND FOREFOOT. Why have nike stopped this? sad to say I might have to try another brand of shoe, maybe the Adidas? Hi – thank you for reading our review. We have no reason to promote any shoe brand – we pay for most of our shoes, and praise/criticism in our reviews depends on the shoe’s merits or lack of it. We tell it like it is. Sorry to hear that the Pegasus did not work for you – you could try models like Asics or Adidas. The latter has a good thing going with their Boost midsole foam. Btw: Your site rocks! It has been a great help for me. Yes, there’s a noticeable difference between the two. The Pegasus 30 feels way softer than the 31, and the upper feels a little more relaxed. Cold water or hot? Machine or handwash? stress on the metarsals from the give/flex. even better or is there a better choice? If you’re looking for forefoot padding, the Pegasus 31 is good, and the Adidas Energy Boost 2 ESM is also something you should look at. 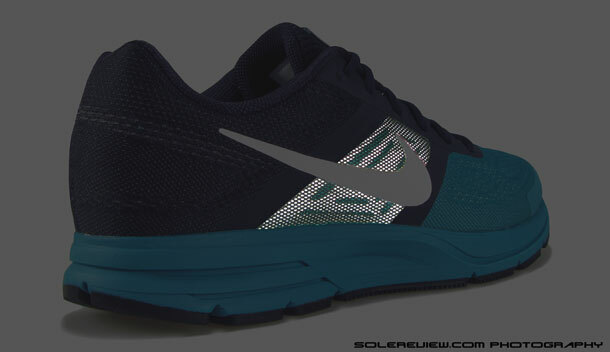 Tell me please if Nike Air Pegasus 30 got enough stability?The thing is that I am a heel striker with overpronation (my feet slightly rolls in while running) and I am worring if they got support I needed. And if they do not could you please suggest any other shoes? Thank you in advance and greetings from Belarus! 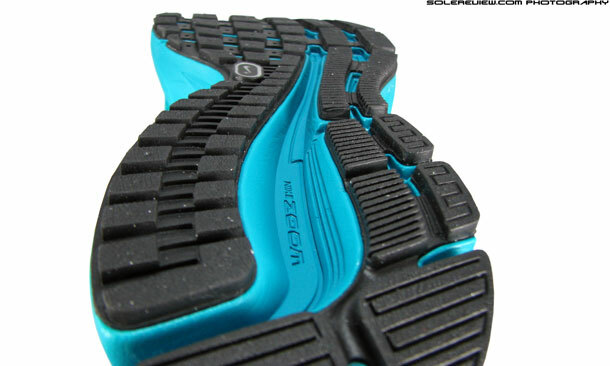 The Pegasus 30 is very soft in the heel and lacks stability. How about the Nike Zoom Structure 18, is that available in Belarus? That is a shoe you can look at, along with adidas Supernova Sequence 7 Boost. And what do you think about Saucony Guide 7 in my case, are they fine? Yes, the Saucony Guide 7 is a great shoe too. We thought highly of it during our weartest. Lunarglide 6 is also stable, with enough heel cushioning and small amount of pronation control. i’m looking for a pair of well cushioned shoes with a little stability. I do a lot !! of walking than running (full time carer for my wife). I have read reviews till the end of time I think !! and being I am 49 years old 6ft 5in and 245lb (that’s big) my knees are suffering badly. I am having two injections in my right knee (osteoarthritis starting) a year and soon will be the other for putting strain on that to relieve. coming to the point…I have come to the conclusion of a pair of lunarglide 6 (love these) or asics Gt 2000 range. any thoughts from your side or others ? did have my feet seen where I live and they said I very slighty overpronate and I ended up with Asics GT 2170 (older version of new 2000 range) this about 4 years ago. boughtPegasus 31 still got them but feel a little support needed.